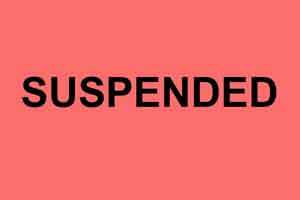 Chandigarh: Professor Raghuram Rao Akkinepally, the director of the National Institute of Pharmaceuticals Education and Research (NIPER), Mohali has been suspended by NIPER’s Board of Governors. The move comes soon after the director refused to revoke the suspension order handed over by him to the registrar of the institute. Raghuram Rao was given a show-cause letter issued by the government after he failed to implement the orders given by the NIPER’s Board of Governors (BoGs) where it asked him to revoke the suspension letter of the institute’s registrar. He also got in on the issue where he was accounted for holding a dual post at the same time. He joined NIPER on May 10, 2017, to August 13, 2017, when he was on extraordinary leave from Kakatiya University, Warangal. His voluntary retirement from the University came in effect from August 31, 2017.